Now when you stock up on your pet's favourite food, you can save a bundle! Just choose the flavour that meets your pet's needs to start saving. 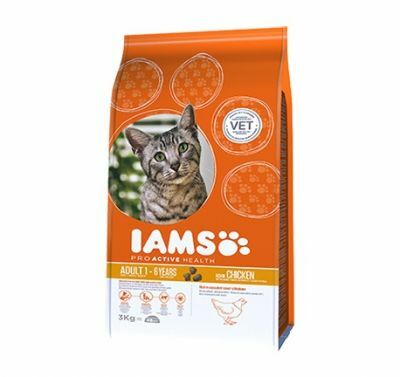 Iams is a premium cat food with fully charged flavour and a special dental formula. Ideally balanced nutrition for all your cat's daily needs. Iams does not contain flavour enhancers or artificial colours or preservatives. For more information regarding each flavour, please click here: Iams Cat Food.